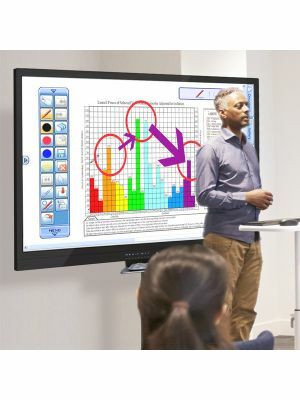 StarBoard TE-SN75 Interactive Touchscreen Display is a leading collaborative communication tool offered in contemporary markets. Making intelligent use of modern technologies and integrating them with SMART’s well-known user interface, it offers the perfect combination of functionality, technical capability, and ease of use. 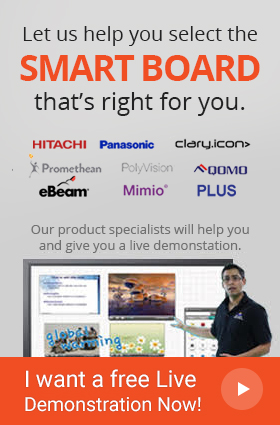 StarBoard TE-SN75 is a large 75“ touchscreen panel with a magnificent display. Its distinguishing feature is its 4K resolution, which leaves no detail out and ensures that the display is lively and vivid. To accompany this, the TE-SN75 employs IR touch sensing technology that is impressive in terms of response time and sensitivity, and is designed to detect 10 points of touch. TE-SN75 Interactive Touchscreen Display is developed for all factions of the work community. Its system’s compatibility with Windows, MAC, Linux, and Android based computer devices means that it is instantly accessible by anyone. 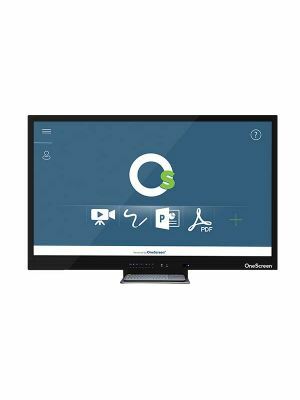 Furthermore, it comes installed with the StarBoard Interactive Software, which is the ideal package of interactivity boosting tools. 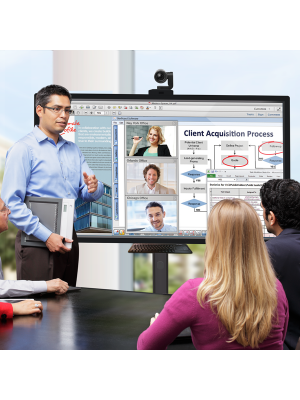 It integrates numerous applications that make collaboration convenient and intuitive. 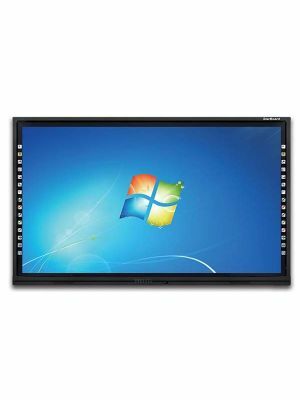 StarBoard TE-SN75 Interactive Touchscreen Display is certainly a product worth investing money in, owing to the great facilitations it has to offer.